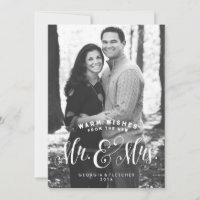 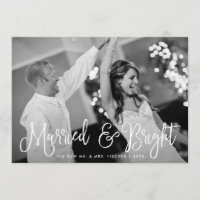 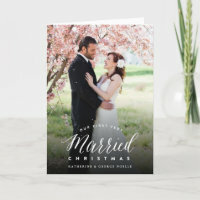 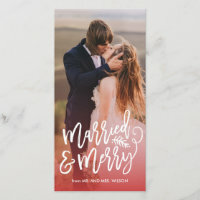 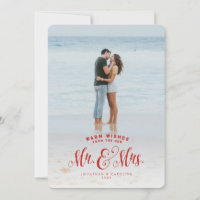 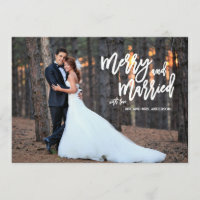 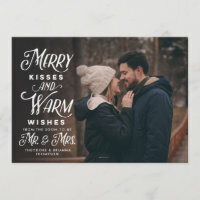 Holiday Wedding Announcements. 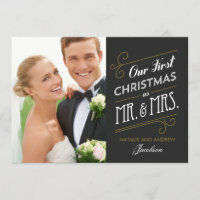 Easy to customize with your own text, photo or image. 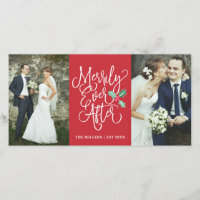 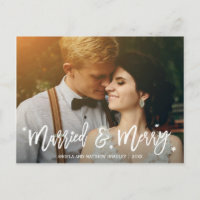 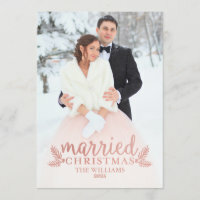 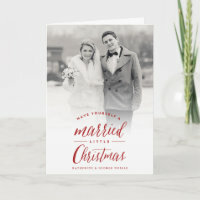 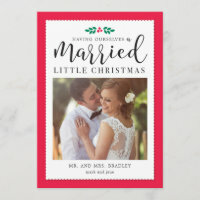 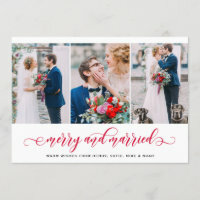 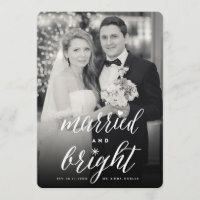 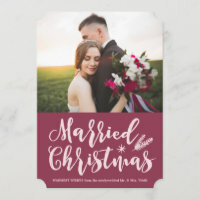 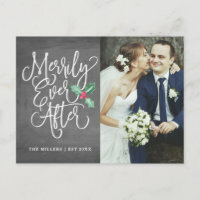 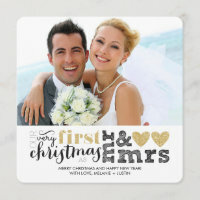 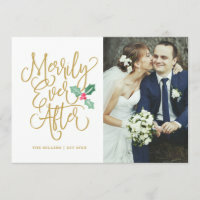 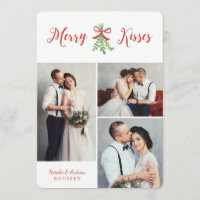 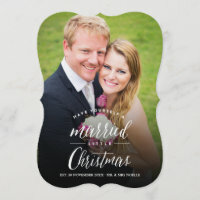 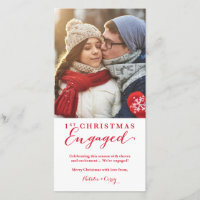 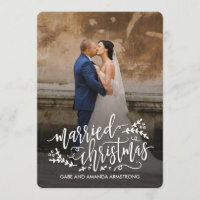 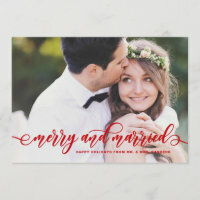 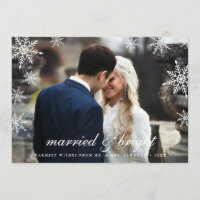 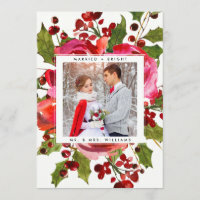 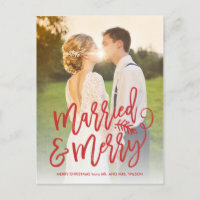 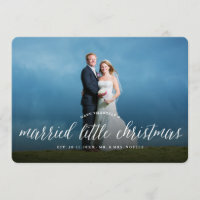 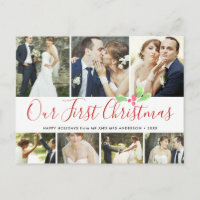 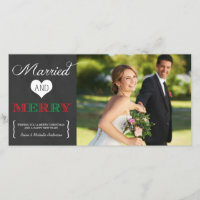 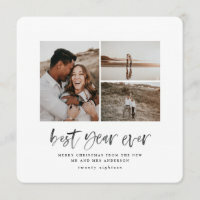 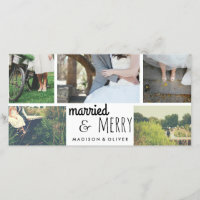 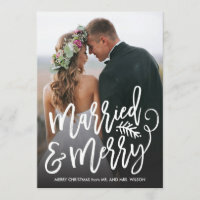 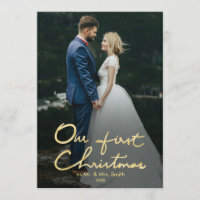 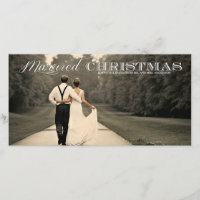 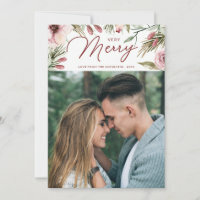 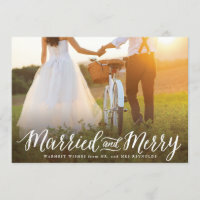 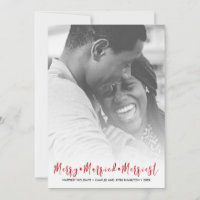 This modern holiday Christmas card is perfect for newly married couples. 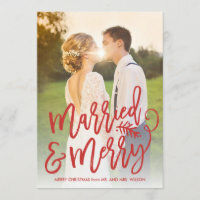 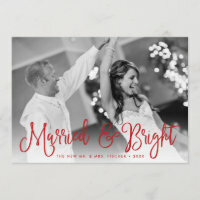 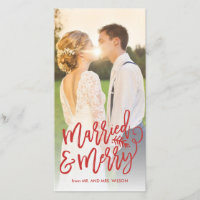 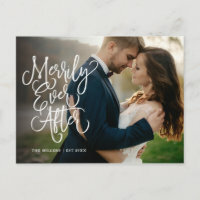 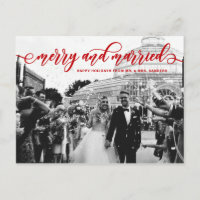 It features white whimsical script typography on the front and an elegant light grey and white swirl pattern on the back.